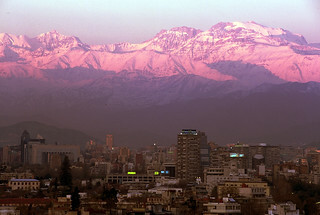 A mid-winter sunset (August 2005) on the mountains above Santiago, Chile. The prominent peaks here are; La Paloma, El Altar, and El Plomo. 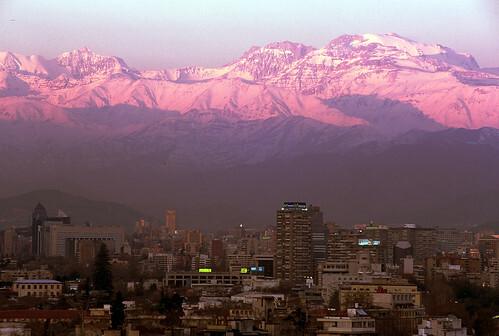 The photo was taken from Cerro Santa Lucia in Santiago's city center.